Summer is here and life can at long last move outside again. To mark the start of the al-fresco season Italian furniture manufacture Pedrali has launched four new outdoor lines destined to transform your patio and garden into an open-air living room with a Mediterranean flair. 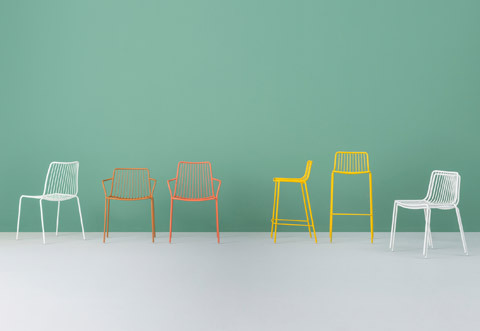 The tables and chairs are easy-going, colorful and extremely versatile – just like summer itself. This is thanks to the wide range of fresh colors and the great variety of materials, including steel, plastic, aluminum, and concrete. 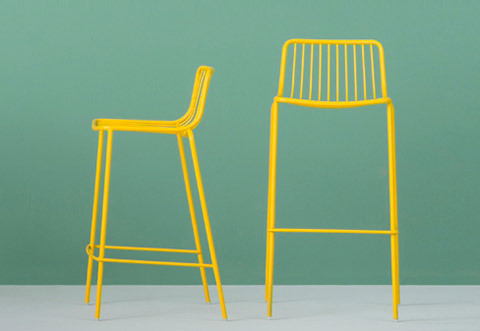 Delicate bars lend the chairs and bar stool of the “Nolita” range a light and airy appearance. 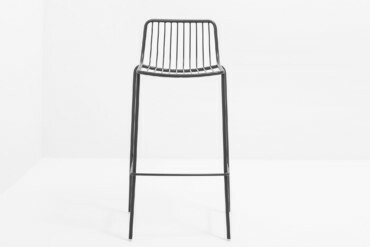 For these pieces designers Simone Mandelli and Antonio Pagliarulo revived some old creations by company founder Mario Pedrali, who conceived his first metal garden chair in this style in 1963. Made of steel, they are extremely sturdy and easy to clean. And come in the following colors: white, yellow, orange, red, terracotta, blue, anthracite, and sage. 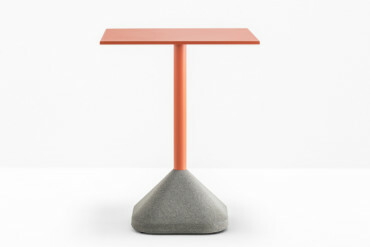 The outdoor dining and bar tables from Pio and Tito Toso’s “Concrete” range are very down-to-earth. 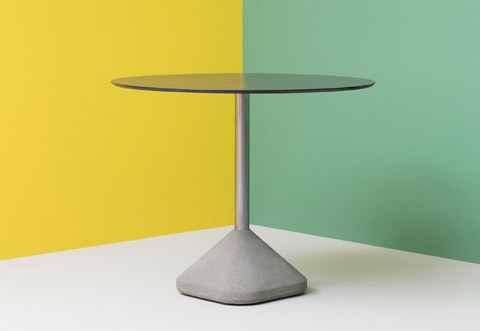 Atop a solid base made of fine-grain concrete and a central steel beam rests a wafer-thin tabletop that comes in different sizes and finishes. 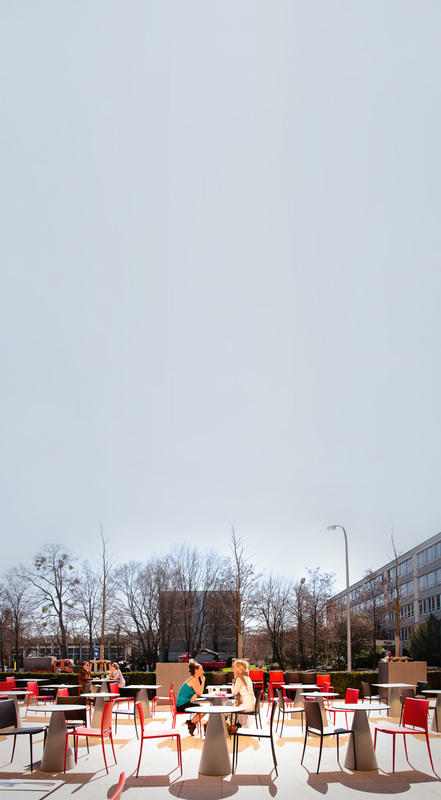 The result is a “rough beauty” that will happily brave the elements on less-than-perfect summer days. 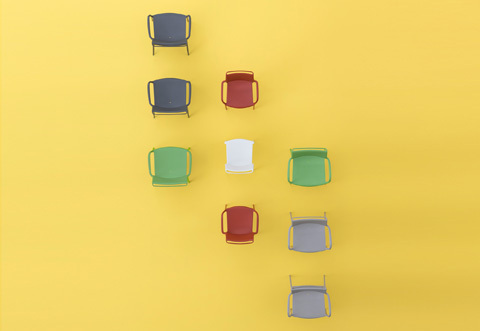 The seating furniture from the “Ara Lounge” line designed by Jorge Pensi is light and flexible. 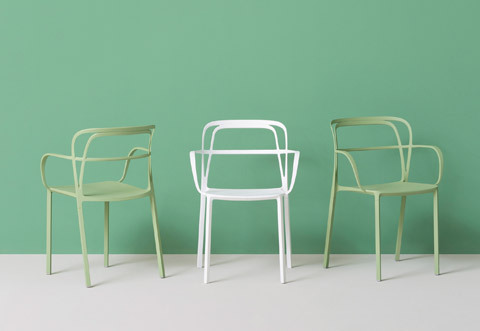 The brightly colored polypropylene chairs add a spot of color to the lawn or pool – they are available in white, beige, orange, sage andanthracite. 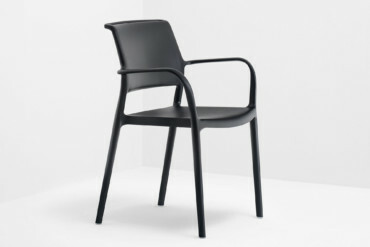 The arched backrest and curved armrests form exciting contrasts to the seat’s rigid geometry. 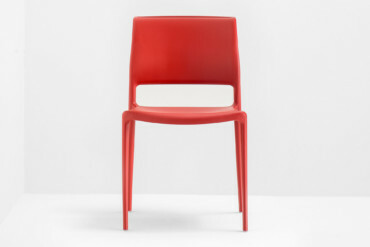 The use of light plastic means that the chair and lounge chair are not only easy to clean if they get wet, but provide flexible use both indoors and outdoors. Curved calligraphy is what you think of when you see “Intrigo”. 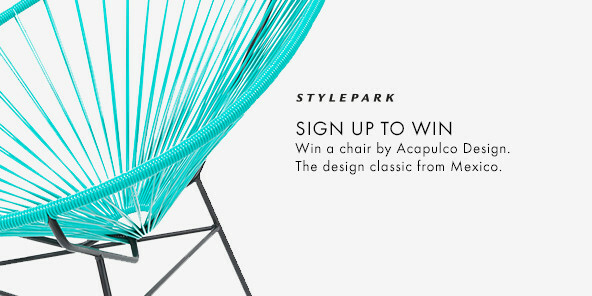 This is because the delicate curves in the chair’s backrest and armrests are flat, not round. 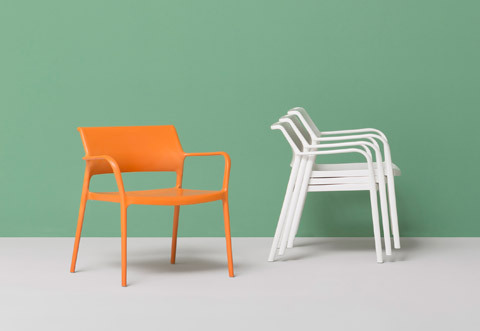 They seamlessly flow into the seat to create a sturdy item of furniture that looks like it has been “cast from a single piece”, which makes it suitable not only for public spaces, but for home use, too. The complex shapes are created in Pedrali’s own production facilities in Bergamo, using a sophisticated aluminum die-casting process. 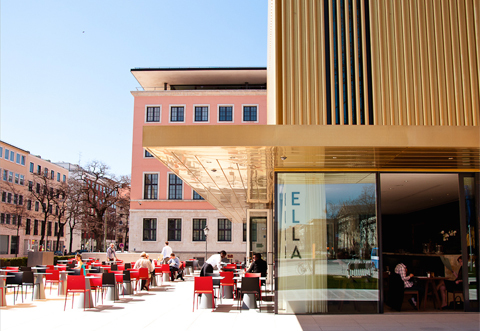 That outdoor furniture by Pedrali looks good in the public realm is once again evidenced by the company’s latest projects: The flaming red chairs from the “Mya” series and the conical tables from the “Ikon” line are the main attraction on the patio of “Ella” restaurant in Munich’s Lenbachhaus, prompting visitors to enjoy a cup of coffee in the sun after visiting the museum. 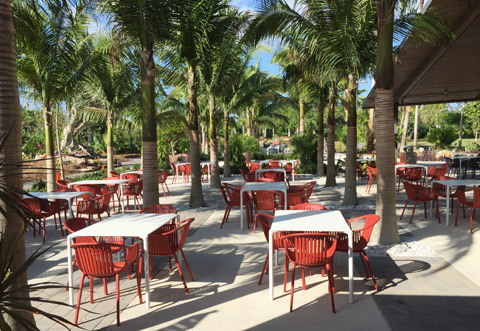 While in sunny Florida, in the Naples Botanical Gardens to be precise, “Tatami” chairs and “Jump” tables are busy outshining the exotic plants, offering outdoor enthusiasts a relaxing spot in the shade under palm trees.